Safety and Security-- Security+ safeguards your household. The Protector System -- Safety sensors projecting a light beam across the door opening automatically reversing the door if anything interrupts the beam. myQ technology--Now you can control your door from you cell phone app. Turn you lights off and on from your cell phone with this latest garage door operator. 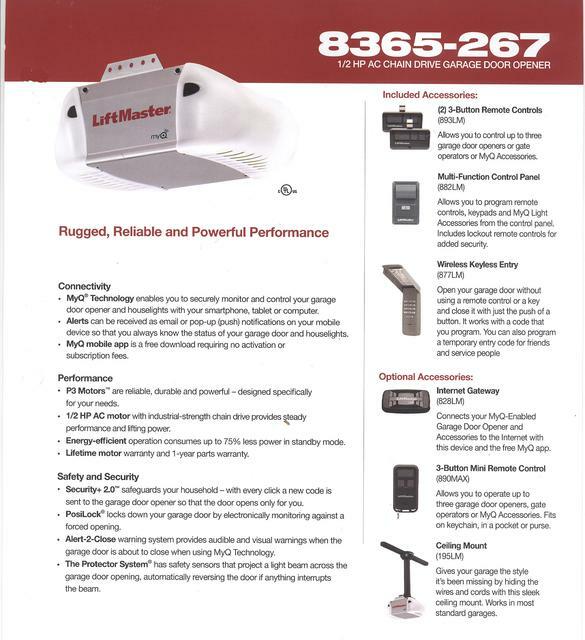 On Sale for limited time: 1/2 horsepower unit with 2 remotes and keyless entry: We have already received a price increase so now is the best time to purchase your new Liftmaster! Barney's professionals serving the Ozarks since 1944.